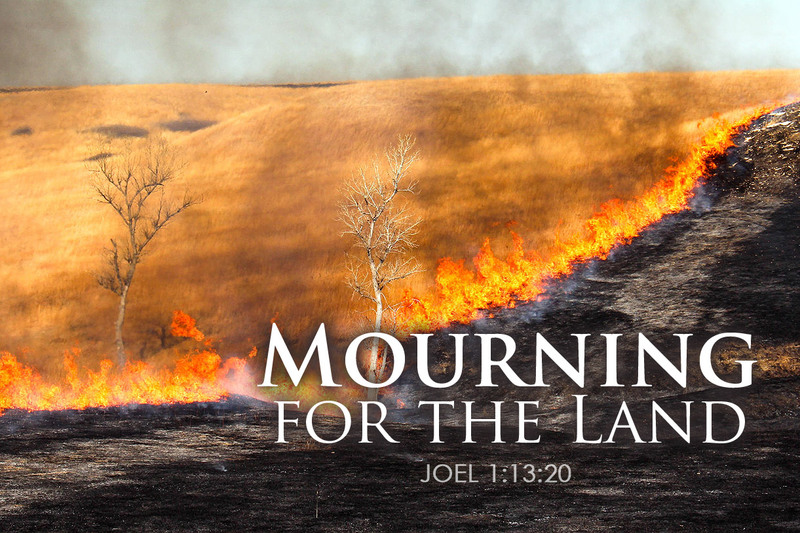 After he prophesied how God used locusts to ravage the land throughout Judah, Joel describes how further destruction was to come in the way of fire and drought. Joel then tells the priests to prepare for God’s wrath, and to gird themselves in sackcloth, the coarsely woven fabric made of goat’s hair and worn during mourning. The priests would do so because there was no more grain, oil or wine to offer at the altar leaving the priests without the daily sacrifice. Next, the prophet calls on the priests to start and announce a fast, a time when the entire nation could repent of their sin and petition the Lord to forgive them and restore their harvest. Joel then foretells destruction for the hebrew nation that was to come as God’s wrath upon His people, because of their transgressions against Him and their refusal to repent of their sin. Because of the devastation caused by the locusts, there was no more food in Judah, and since their was no more sacrifice possible, the joy that came along sacrificial offerings in the temple was no more. Joel continues his prophecy by revealing how the plague would not only impact the Hebrew nation for s short while, but their future was also in jeopardy since the seeds were also impacted by God’s wrath, which would prevent them from future harvests. Under God’s wrath, the animals in Judah will have no food to eat or water to drink, and their restlessness will be heard throughout the land. Lastly, the prophet foretells how fire will completely destroy Judah, from pastures to trees, and bring misery to the Hebrew nation under the wrath of the almighty.